As you do in MS Windows, open multiple windows at a time and work on them parallel. If you have dual monitor, you can stretch Quick Quest desktop to span both monitors and get comfortable real estate to perform your critical operations of managing question bank and question papers. 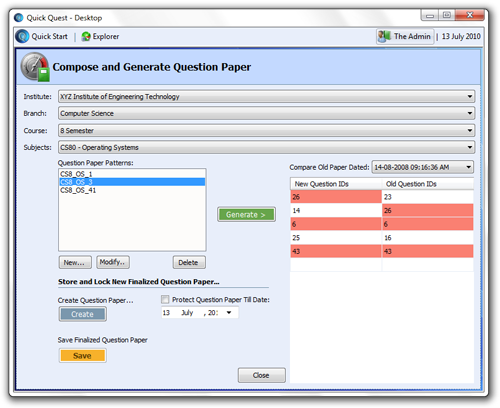 The Compose and Generate Question Paper window, give you intuitive interface to create question paper pattern and allow you to generate competent question papers in few clicks. 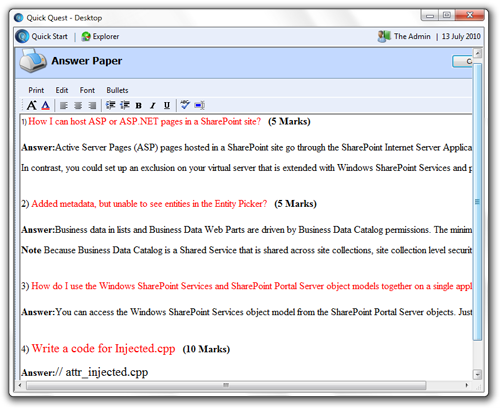 Answer paper generation is another important aspect when teachers evaluating student's answer papers. 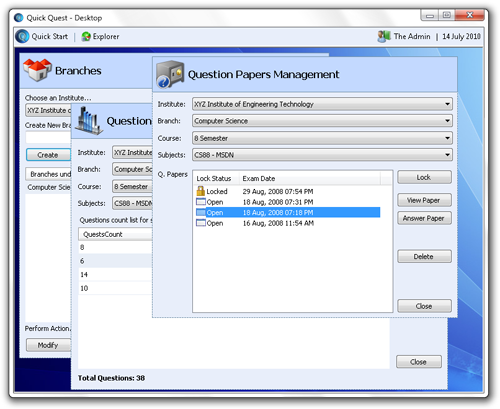 Quick Quest facilitates you to create answers papers in few seconds and you can print as many copies you want. The simple screen layout helps you to concentrate on your task rather thinking how to use it. You perform essential operations with few clicks not needing to type repeated information. The cool blue colored screens make sure to show characters in clear format. 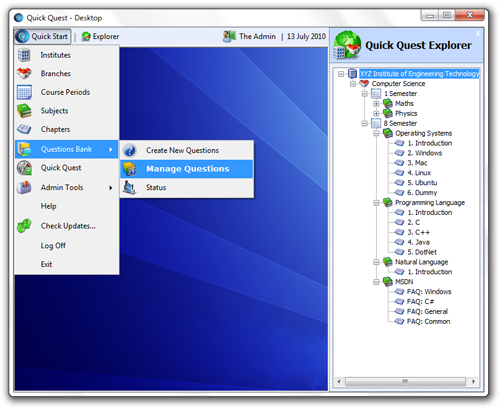 The Quick Quest desktop is no different than your Microsoft Windows Desktop. 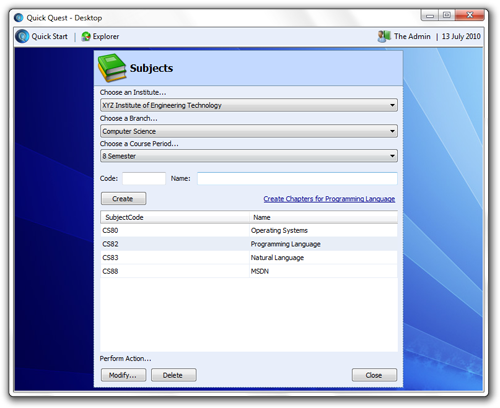 You can set your favorite wallpaper, you have Quick Quest Explorer which is very much similar to Windows Explorer, The "Quick Start" menu is like Windows "Start Menu". From the day one you will feel very much comfortable to use Quick Quest. 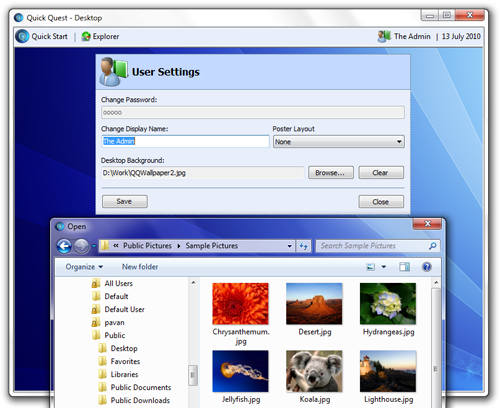 Set your favorite wallpaper on Quick Quest desktop. Next time when you login to Quick Quest it pleases you with your most liked poster.